There is nothing terribly remarkable about Jim Telfer's Galashiels residence. Few things point to the cherished victories and memorable nights that peppered a rugby career as player and coach for Scotland and the Lions. The living room is not festooned with memorabilia, souvenirs from past glories, or brash remnants of a more joyous era for Scottish rugby. Only tasteful prompts catch a visitor's eye - reminders that one has entered the lair of a legend. 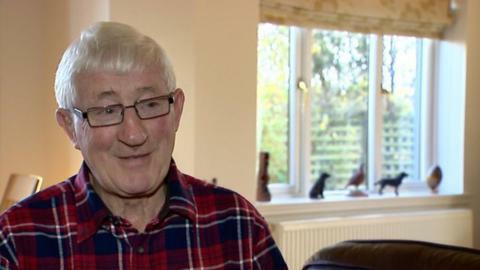 Telfer, 74, is one of a trio of venerable giants - the others being Sir Ian McGeechan and Andy Irvine - of the Scottish game whose counsel has been sought by current head coach Vern Cotter ahead of the New Zealander's first Tests on home soil. After making his bow in the top job five months ago, embarking on a punishing tour of the USA, Canada, Argentina and South Africa, Cotter will lead his charges into battle this month against the Pumas, the All Blacks and Tonga. And to understand the soul of the team he has inherited, and the nation that underpins it, he sought the views of a man who helped guide Scotland to two Grand Slams in 1984 and 1990, and the final Five Nations Championship nine years later. "It was very honest of Vern to come and ask us; that shows he's looking in-depth at how to motivate and get the best out of the Scottish team," says Telfer. "We talked about my philosophy on Scottish rugby and the fact that I'd copied the All Blacks' play. When I coached Scotland 40 years ago, I wrote a paper on the philosophy of Scottish rugby which is just as relevant now as it was then. "I've always believed that Scots players will give their all if the person who asks them to give their all is honest with them. "Vern will find that Scots players are probably not as heavy or big as, say, the English, but they'll be more athletic, have a higher work-rate, get to the breakdown quicker. They'll try to play a game that's quick and entertaining. "The Scots spectator might want the team to win at all costs, but they still look to be entertained." Telfer may have mellowed with age; the manic, white-maned figure that stalked the training paddocks of yesteryear cuts a more refined, serene form these days. For all that he welcomes you in with a digit-crushing handshake, the great man appears wizened, his posture stooped, gait tentative - dare we say it, he almost looks frail. But sit him down and talk rugby, and without warning, the old Telfer looms seamlessly into view. He recalls players past and present with unerring clarity and vivid expression - the beard of Josh Strauss is afforded particular prestige. His eyes twinkle behind their spectacles, his sprawling hands strain and twist for emphasis, and the great, blunt noses quivers and twitches as each point is slammed home with the inimitable booming Borders oratory its vehicle. But what does Telfer make of the New Zealander occupying his former office in Murrayfield? "He's a man who's steeped in rugby," he says. "He's gone to Clermont and developed as a coach there. And I would think that he would know the game inside out. "Although he hasn't had much international experience, what he will bring is his innate knowledge of the game; he knows about the importance of developing a culture. "The players will find he's an imposing figure - he looks a strong man, and he will get respect by not changing, by doing the things he's done, the characteristics that brought him to the job with a certain amount of success. "Our core of Scottish players may not be as good as the All Blacks or England, but we know we have players of quality in the back-three, we know we have, when all are fit, a reasonable midfield, and he has to sort out what he wants to do at stand-off and at scrum-half in the next few weeks." Telfer was invited along by former international and current Glasgow Warriors boss Gregor Townsend to attend the Scotstoun side's 37-10 humbling of Bath in the European Champions Cup last month and address the squad. Rather than dwell on bygone days, he purrs over the 'buzz' that still grips him whenever he encounters the stars of today, or passes the national stadium. "I don't look back in my coaching," he says. "I think my best moments in rugby are still to come, coaching the youth team I've got at Melrose. "I thought (going to Scotstoun) was a tremendous privilege. I'm a players' person; the most important people in rugby are players. "Every batch of players I become involved with, even briefly, I'm excited speaking to them. I see faces at Glasgow that I've only seen on television, so I'm just as awestruck by them as they supposedly were by me. "All they would see is an old man."